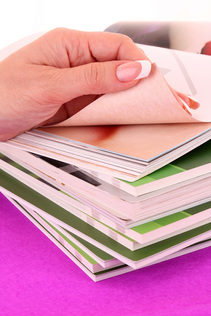 Booklets can offer an advantageous way of sharing your business and brand with your market. While brochures may be able the same job, booklets allow you to share more information and gives your customers something they won’t want to throw away. Booklets have been known to establish a more trust worthy brand image, and are also suitable for companies or businesses looking to create long-term branding. Designed to be visually appealing, booklets are usually higher quality and contain more imagery and informative text. At DFW Printing, we can advise you on the best printing options for you business. We invite you to inquire with us about how a booklet can benefit your business. Promoting your business or brand with the help of a booklet is essential. Because booklets are usually bound and made to look beautiful and eye-catching, they are likely to remain in a customer’s hands for a long time. Due to the versatility of booklets, and the freedom in graphic design- there are a lot of options you have. Read more about the various booklets other brands have created and see if they can spark inspiration for you own brand below.